Technology & Design With the Most Awards - Red Dot Design Winner | Home & Trend Award : Innovation of the Year & Golden Award Best of the Best | EESC European Award Best Product of the Year | Winner of Plus X Award. Relieves Magnesium Deficiency - Mg2+ has become the most crucial mineral lacking in our diet. It is estimated that 70% of adults are Mg2+ deficient causing a multitude of illnesses. In addition, Mg+ is a natural mineral and flavor carrier which enhances the aroma and taste of tea and coffee and provides a much better "crema". 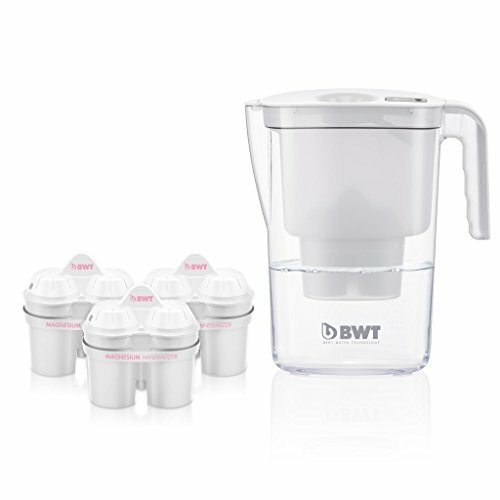 If you have any questions about this product by BWT, contact us by completing and submitting the form below. If you are looking for a specif part number, please include it with your message.